Managed to finish off that freelance project for Elgin Surgeons. I hope to post it on here soon, but both me and my client have to square off with the publishers how the rights are going to be handled. Since this is for a medical journal neither one of us is really sure how that will work, but here’s hoping it’ll be resolved soon. In the mean time, I’m creating a new inking portfolio because I haven’t added new samples in over a year. Inking has always been my forte over anything else in comics, so I feel I should produce more art geared towards that. 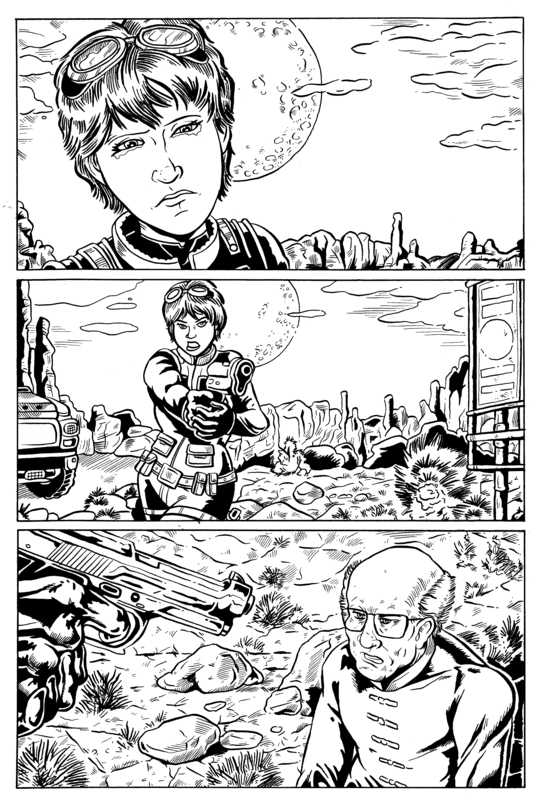 I’ll be posting samples here done by a variety of pencillers over the next few days or weeks. The first one is based off a page by Gary Gretsky, the original of which you can see here. This was inked using a Winsor & Newton Series 7 Sable #2 round brush dipped in Speedball Super Black Ink, two Speedball nibs (a #512 and a #102 crow quill), and a Faber Castell F-tip pen. Feel free to comment and critique it if you like.